Resize, rotate, rename your photos in batches. Apply your resizing in just 3 easy steps to hundreds of photos at a time. Resize, rotate and watermark hundreds of photos in one go, in minutes with the click of a button. Apply rounded corners to your photos to make them stand out. 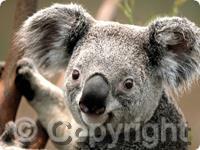 Add your name or copyright notice or your logo as watermarks on your photos. Stamp your authority over your images. 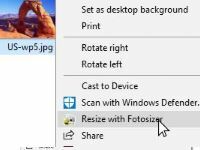 Choose your pictures from Windows File Explorer, using the right-click context menu, then selecting the "Resize with Fotosizer" option. In addition to the classic Fotosizer look and feel, Fotosizer now has a dark display mode. 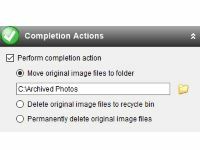 Choose to apply completion actions to your pictures after resizing such as move to another folder, delete to recycle bin, or permanently delete. 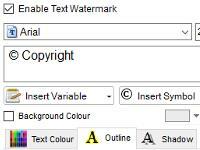 Choose the font, font size, style and colour for your watermarks. Set custom transparency level, add shadows or rotate watermarks to your taste. View the real time preview of the resize settings, watermarks and other effects right on the photos you are changing so there are no surprises afterwards. Know precisely how the photos will look beforehand. 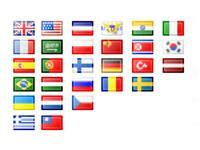 Fotosizer supports 35 languages - English, French, German, Italian, Portuguese, Spanish, Dutch, Chinese. Use Fotosizer in your language. Fotosizer has been designed to be easy and straightforward for you to resize your photos in one go. We listen to your feedback and use it to make Fotosizer even better. Fotosizer is clean in design, no menus to navigate, everything you need in one place. You can use Fotosizer both for personal and Commercial use. If you want even more, you can buy the Professional edition to get features such as watermarks, color adjustment, rounded corners. Have a question or missing a feature? Just tell us, we will answer any request! Contact us here. 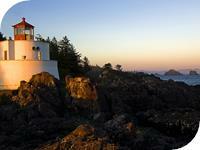 "This quick program lets you resize batches of photos. It only takes a few seconds. And you can even specify the JPEG compression of the final photos. This is a must-have program for photo fanatics." 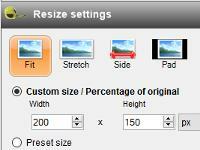 "Fotosizer offers users an opportunity to resize one or dozens of photos with a few mouse clicks. With simple instructions and great results, this is an excellent choice for users needing new pictures in a hurry. Despite its scrawny special features, this free program performed so strongly at its primary function that we recommend it as a great choice for anyone looking to quickly resize photos." 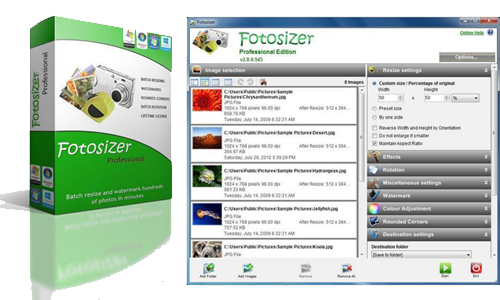 "Fotosizer is a free batch image resizer for Windows. The tag line for Fotosizer is "batch image resizing made easy", and we couldn't agree more."